If you're based in Europe but outside the UK, then this book is also available on the version of Amazon in your country. A wonderfully relaxing and enjoyable collection of artwork for Mum to enjoy this Mother's Day featuring brand new content. Featuring 30 intricately detailed and stunning images, this collection of dot-to-dots has over 15,000 dots for you to bring to life. From adorable animals to stunning florals - there is something here for every Mother to enjoy. 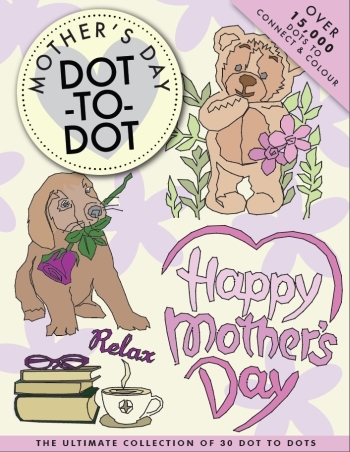 This book even features lovingly-worded typographic images that Mum can colour in and treasure forever. 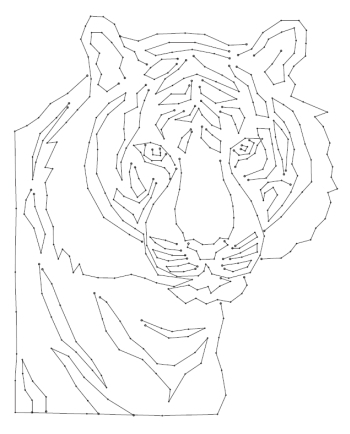 Puzzles are printed on high-quality crisp, white paper with a blank reverse to ensure no ink bleeds through. Instructions with a demonstration of the solving rules are given at the start and completed images are shown towards the back of the book if you're too eager to see the finished result! That's all there is to it! Delve in to this collection of relaxing and satisfying puzzles and take a trip back to those carefree moments as a child. Creating beautiful artwork along the way, we are sure that you will enjoy completing all puzzles and being driven dotty for dots!